Thousands of chemicals, petroleum products, and corrosive elements like salt water brine are transported by tanker truck, railcar and distributors, as well as processed in chemical tanks at facilities and refineries, every day. In these venues, carbon steel corrosion can require early tank replacement and maintenance, as well as pose a safety risk in terms of potential leaks, spills, and even fire and explosion, so effective corrosion protection is a must. 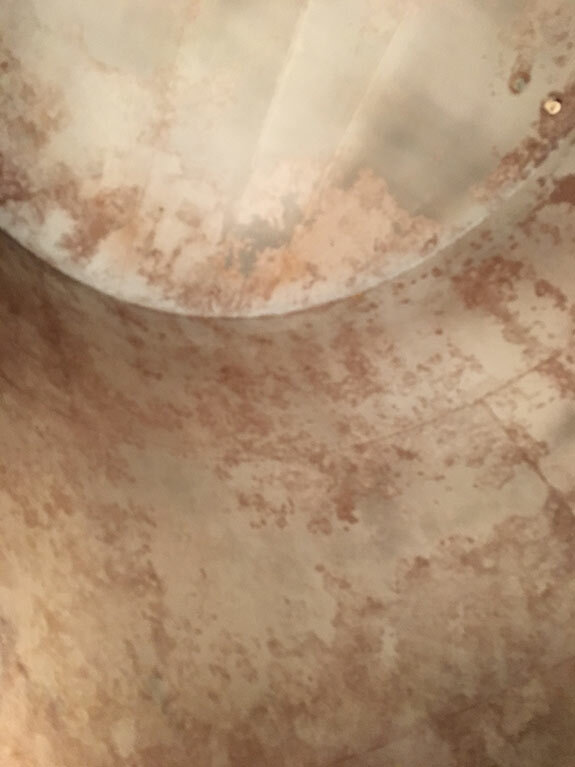 According to Svehlak, effective corrosion resistance is essential in the flush tanks because they hold the wastewater from the first flushes of tanks that the company cleans, which can include residual chemicals, until it is treated. This amounts to thousands of different residual chemicals held in the flush tanks annually – from petroleum products and salt-water brine to fluoride, caustic soda, and a variety of acids. 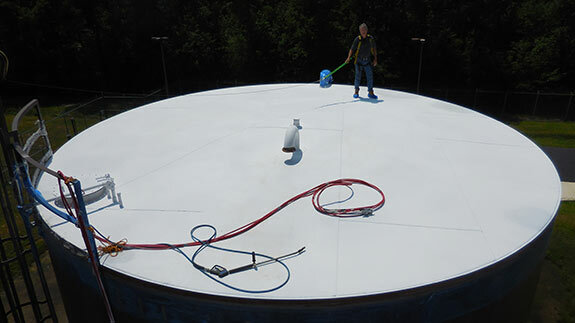 Against such tank corrosion challenges, traditional polymer paints and rubber type coatings have long been used as physical barriers to keep corrosion promoters such as water and oxygen away from steel substrates. This works until the paint is scratched, chipped, or breached and corrosion promoters enter the gap between the substrate and coating. However, truck or rail tankers hauling waste, including sand and sediment, can be particularly prone to scratches, chips, or breaches. Then the coating can act like a greenhouse – trapping water, oxygen and other corrosion promoters – which allows the corrosion to spread. While stainless steel can be used for tanks to resist corrosion, it can be up to six times more costly than carbon steel, as well as challenging to weld, fabricate, and maintain. Now a new generation of anti-corrosion coating, called Chemically Bonded Phosphate Ceramics, is poised to stop such corrosion, improve safety, and extend tank life in the transportation industry and beyond while minimising maintenance and downtime. 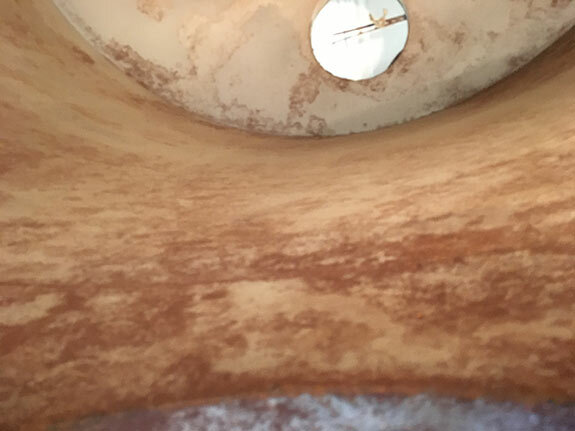 To control corrosion, the tank cleaning facility chose to have Ennis, Texas-based DC Metal Construction, a privately owned company specialising in steel construction and industrial plant building projects, coat the inside of two flush tanks. The flush tanks were coated with a spray applied inorganic coating called EonCoat® from the Raleigh, NC-based company of the same name. EonCoat represents a new category of tough, Chemically Bonded Phosphate Ceramics (CBPCs) that can stop corrosion. In contrast to traditional polymer coatings that sit on top of the substrate, the corrosion resistant coating bonds through a chemical reaction with the substrate, and slight surface oxidation actually improves the reaction. An alloy layer is formed. This makes it impossible for corrosion promoters like oxygen and humidity to get behind the coating the way they can with ordinary paints. The corrosion barrier is covered by a ceramic shell that resists corrosion, fire, water, abrasion, chemicals, and temperatures up to 400°F. By contrast, the same damage to the ceramic-coated substrate will not spread corrosion because the carbon steel’s surface is turned into an alloy of stable oxides. Once the steel’s surface is stable (the way noble metals like gold and silver are stable) it will no longer react with the environment and corrode. Visible in scanning electron microscope photography, EonCoat does not leave a gap between the steel and the coating because the bond is chemical rather than mechanical. Since there is no gap, even if moisture was to get through to the steel due to a gouge, there is nowhere for the moisture to travel. The only spot that can corrode is the scribe line itself, which eliminates the possibility of the corrosion migrating. According to Svehlak, the coating’s rugged anti-corrosion properties could also benefit a wide range of transportation-related businesses. EonCoat - DFW Tank before. For transportation companies looking to reduce costs, there are additional advantages to CBPC coatings beyond corrosion resistance. This includes quick return to service that minimises equipment downtime, as well as no VOCs or HAPs, and a flame spread rating of zero which improves safety. For corrosion protection projects using typical polymer paints such as polyurethanes or epoxies, the cure time may be days or weeks before the next coat of traditional ‘three part systems’ can be applied, depending on the product. The cure time is necessary to allow each coat to achieve its full properties, even though it may feel dry to the touch. In contrast, a corrosion resistant coating for carbon steel utilising the ceramic coating in a single coat requires almost no curing time. Return to service can be achieved in as little as one hour. This kind of speed in getting a tank, tanker truck, or railcar operating again can save significantly in reduced downtime. 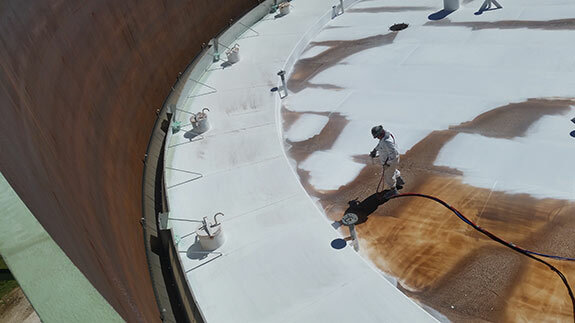 “After appropriate tank preparation, we found that if we spray EonCoat in the morning the tank can be returned to service the same day because it applies in one coat and dries quickly,” said Hobbs. EonCoat consists of two, non-hazardous components that do not interact until applied by a plural spray system like those commonly used to apply polyurethane foam or polyurea coatings. Since the coating is inorganic, there are no VOCs, no HAPs and no odour. This means that the coating can be applied safely, even in confined spaces.